At White Rock Fellowship, we believe the kids that have been entrusted to us are a huge part of our mission. Our hope and prayer is that through Sunday morning and discipleship at home, our kids are completely captivated by Jesus. 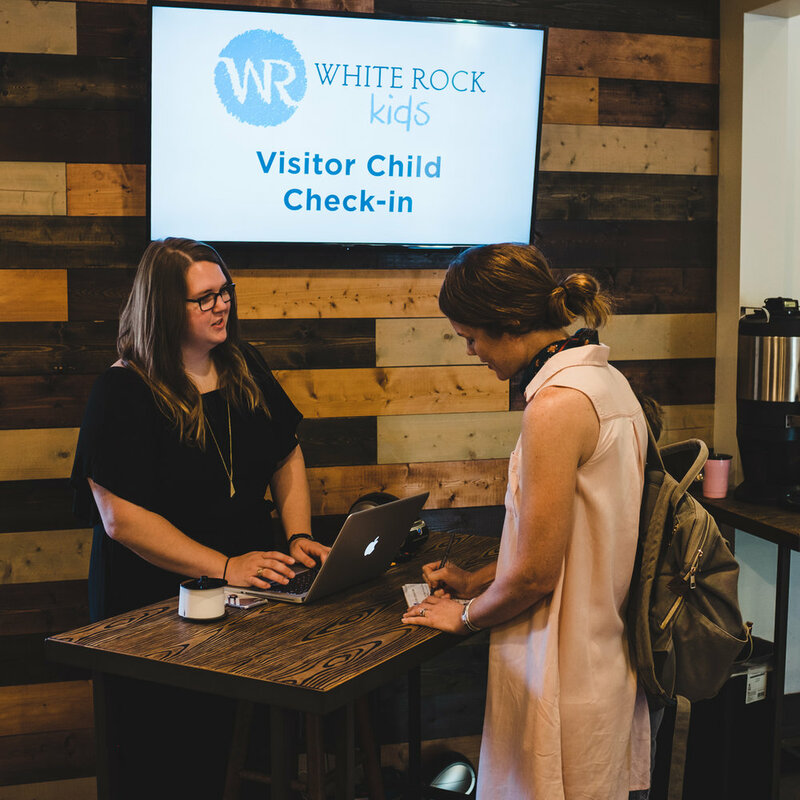 To that end, White Rock Kids partners with parents to create a culture of grace that will hopefully lead our kids into dynamic relationships with Jesus. Children’s ministry is available at both of our services, 9am and 10:30am. Each class is designed to care for and train our children in the gospel of Jesus, while providing a safe and fun atmosphere. Nursery (6 weeks and up) and preschool classrooms open 15 minutes before the service begins for parents to drop their children off. At both 9:00am and 10:30am, we 5 classes: babies, ones, twos, threes, and a combined four and five year old class. We use the Jesus Storybook Bible to help our kids see the love of Christ throughout scripture. Kindergarten through 5th grade students begin Sunday mornings by worshiping through song with their families in the worship service, and are then released to go to their classrooms before the sermon. Our Elementary age kids use a curriculum from The Gospel Project in their classes. At 9:00am, we have two classes: Kindergarten through 2nd grade and 3rd through 5th grade. At 10:30am, we have three classes: Kindergarten & 1st grade, 2nd & 3rd grade, and 4th & 5th grade. Look for the Visitor Child Check-in station in the lobby by the sanctuary. We'll be there to help you get your child checked in for the first time. Once you have checked-in, you will receive a name tag for your child and a parent security tag with a matching pick-up code. Retain the security tag to pick your child up. If you are new with us, our welcome team will direct you to your child’s classroom where you will be greeted by their teachers. After the service, return to your child's classroom and pick them up using your pick-up code. (For security reasons, the parent tag must match the child’s tag in order for the child to be released).